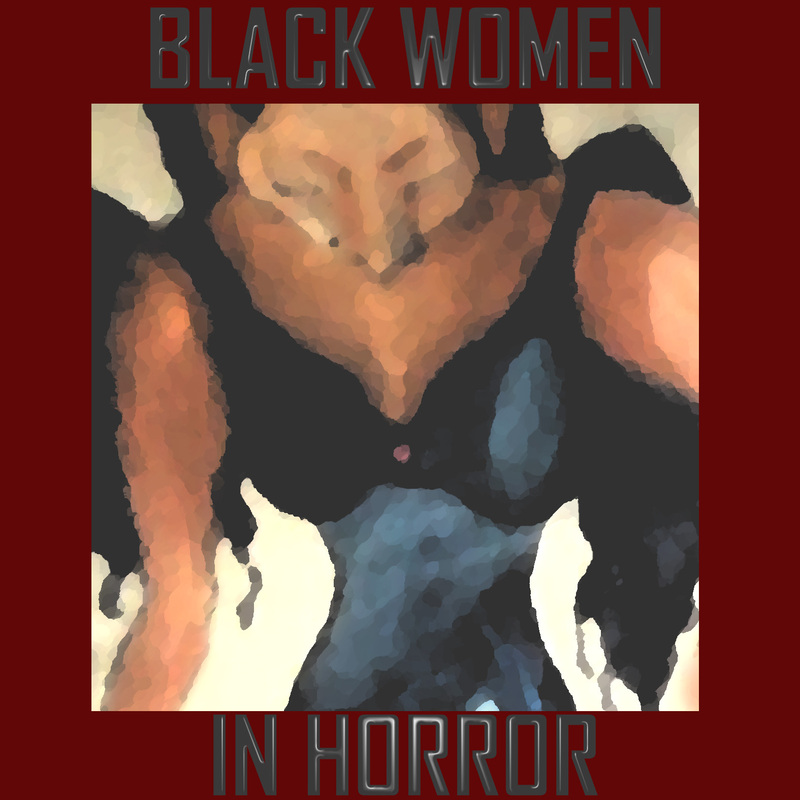 This is a part of our Black Women in Horror Interview Series. February is African American History Month here in the United States. 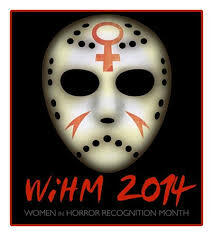 It is also Women in Horror Month (WiHM). The Black Women in Horror interview series celebrates the place where the two intersect. These interviews are included as a part of the free eBook “60 Black Women in Horror Fiction.” The Black Women in Horror Interview Series is designed to raise the profile of and bring attention to the more than 60 black women who write horror and related genres of speculative fiction. Eden Royce is a native of Charleston, South Carolina whose great-aunt practiced root, a type of conjure magic. She now wishes she’d listened more closely. Her stories have been published with several presses, including Kerlak/Dark Oak Press, Sirens Call Publications, and Blood Bound Books. She also reviews books for Hellnotes, a website dedicated to horror in fiction, art and movies and is a contributor to Graveyard Shift Sisters, a blog dedicated to purging the black female horror fan from the margins. She is also the horror submissions editor for Mocha Memoirs Press. Besides writing, she enjoys roller-skating, listening to thunderstorms, and excellent sushi. The dead are kept in chambers, their energy used to feed the City’s voracious appetite for power. This grisly fuel is watched over by Feast, a devil-human hybrid whose run-ins with the City may make him the next power source. Q. You are a writer of dark fantasy and paranormal fiction. What do you consider the relationship between these genres is to horror, if any? Are they sub-genres, or simply other genres in the speculative fiction wheelhouse? A. I believe dark fantasy goes hand-in-hand with horror. Horror is written to frighten and dark fantasy is written to fascinate and disturb. And the two overlap beautifully. I’ve written what I consider to be dark fantasy and readers have told me how creepy and scary the tale is. When creating paranormal creatures, you have to give them motivations and reasoning that is oh-so-slightly different from humans, but similar enough that we will recognize their behavior in ourselves. And that in itself is scary. Q. Do you think women in general, and black women specifically, face in entering horror and related genres? Do you think we are still underrepresented? A. Women that write horror are small in number compared to their male counterparts. I edited a horror and dark fantasy anthology titled “In the Bloodstream” and the majority of submissions I received were from men. As women, we face difficulty because of perceptions: the idea that it is impossible to be a female if you write horror; that there must be something wrong with you if your mind tends toward the dark. So sometimes, we hold ourselves back on the page. Thankfully, the numbers of female horror readers are growing. Much of what appeals to women in life is safety and security: for ourselves, for children. Horror pulls against giving the reader that safety. Black women struggle as much or more because a large portion of the Black community doesn’t read—or admit to reading—dark fiction. Society sees us as only able to write from our experience, which by the perception of many is not crafting chilling horror. There is also the religious component in many of our circles that may be disturbed at our interest in reading or writing about evil. Those concerned should strive to separate the writer from the work. Most writers of dark fiction that I’ve met are wonderful, sweet people. They just enjoy creating worlds in which the bad guy flourishes, at least for a while. Q. In your latest novel, “Containment,” the dead are used as an energy source. There are many kinds of dead… the living dead, the Undead, spirits of the dead and corpses of the dead. What are the dead like in your story? Do they feel? A. In “Containment”, there aren’t any zombies or vampires. (At least not at this point in the series.) So much of The City’s natural resources are gone, they have turned to spectral energy as power, similar to what supposedly creates poltergeists. There are Containment agents that stand at the bedside of the soon-to-die to capture their spirits as their physical bodies perish. There’s also a crack team of workers that track down rouge spirits that attempt escape. It’s the energy that is preserved and captured and in “Containment”, the more violent the death, the stronger the energy. Q. Why do you think that underlying issues of mortality and life beyond the mortal realm appear so frequently in horror and dark fantasy? Do you think the genres connect with our primal fears, or need to understand these things? A. The fear of the unknown is one of our strongest. We have solved so many mysteries in the world, but what actually happens after death always eludes us. I think it’s normal to surmise what may happen to us at the end, especially since it’s something that each one of us will have to face at some point. To me, it’s the need to influence what we have no control over. And we can do that through writing and filmmaking. Q. Your power plant of the dead is overseen by a devil-human hybrid named “Feast.” Does his name have any special significance? A. In the “Containment” world, all devils have one-word names, usually a verb or some sort that gives an idea of each creature’s individual power. Feast knows little about his devil side and is fascinated and a little frightened of it. I chose Feast as a name because unlike a lot of the other devil names that will be seen in Book Three, the word “Feast” has positive and negative connotations. I wanted to show through his name that there are more sides to his character than even he knows. Q. Feast seems to be getting into a lot of trouble with The City authorities. Has he always been such a rebel? Do you think his human half is to blame? A. I actually blame his devil side more. :Laughs: Feast is a loner and it’s usually loners that have little to lose and are willing to push the envelope. Many of the humans in “Containment” are going along with the status quo that The City sets because they have families, reputations, and lives to protect. Feast has always been on the City’s radar as a hybrid citizen, but things happen in the story that makes Feast question the legitimacy of some of the rules. He can’t be quiet and blend into the background, because he has never had the ability to do so. (Some of his devil traits are visible.) So he does what he feels is right and that gets him in trouble. A. So many projects! I feel like I’m writing all the things. I’ve started Book Two of the Containment Series, and I’m working on my full-length novel. It’s what I call Southern Gothic horror: lots of dark places, family secrets, superstition and magic, all steeped in the culture of my hometown of Charleston, South Carolina. I got the idea from one of the stories my Grandmother told me; I hope I can do it justice. I’ve also started the process of editing an anthology titled “Torched” for Nocturnal Press Publications. It’s my first project with and international publisher and I’m excited. Q. Is there anything you would like our readers to know about that we haven’t already covered? A. It is so important to support independent authors. Buy their books, or ask for them at your local bookstore or library. When you read something wonderful, leave a review or contact the author via social media. The author will appreciate your time in commenting on something that is a true part of them. 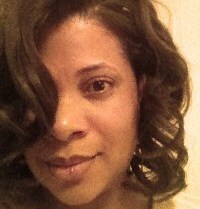 ~ by Sumiko Saulson on February 27, 2014.